The sporting world had never seen anything like it. 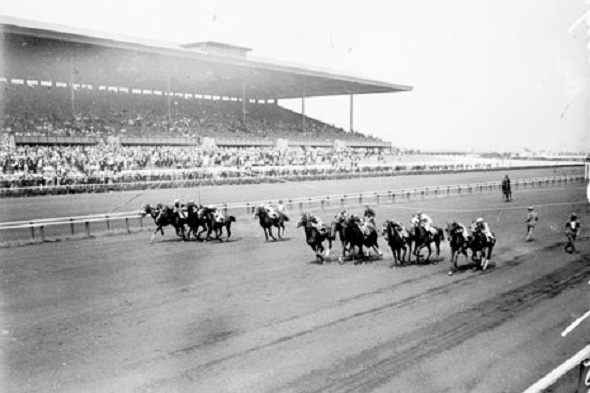 The date was August 30, 1981, and Arlington Park was holding the first thoroughbred horse race with a million-dollar purse. The race was called – what else? – the Arlington Million. The idea originated with Joe Joyce, who’d headed the track since 1976. The inaugural Million was scheduled over a distance of one-and-one-quarter miles, and was open to three-year-olds and up. The winner was to receive 60 percent of that $1 million purse – nearly double the prize of the Kentucky Derby. Million Day was a Sunday. The weather was pleasant, and 30,637 people came out to Arlington. As the horses readied for the 3:40 post, the favorite was 6-year-old gelding John Henry, with legendary jockey Bill Shoemaker up. 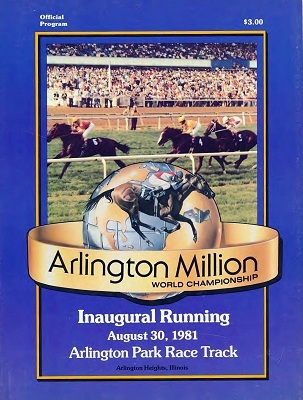 Racing fans call a thoroughbred race “the most exciting two minutes in sports.” The first Arlington Million took slightly longer than that, 2:07:06. Most of the excitement was provided by The Bart, a 40-1 shot who led much of the way. Charging furiously at the end, John Henry finally came through and won by a nose. Dave Condon of the Tribune had his own take on the Million. Illinois didn’t have (legal) off-track betting in 1981, so Condon decided to place a wager on the race with a London gambling house. In 1981 there wasn’t any internet, either. That meant he had to make a long-distance phone call at 3 a.m. Chicago-time. The phone call itself involved various adventures. Finally, Condon got through to London – and was told that American Express wouldn’t allow him to charge a wager on his credit card. Today the Arlington Million is a major event on the racing calendar. At the track itself, a sculpture titled “Against All Odds” commemorates the 1981 battle between John Henry and The Bart.